Good morning everyone! This is a guest post from my V.A. Clarisse. Let me know if you want to guest post on Savvy Scot. Last week when I took a selfie, I noticed that I look very stressed and I even look older than my age! 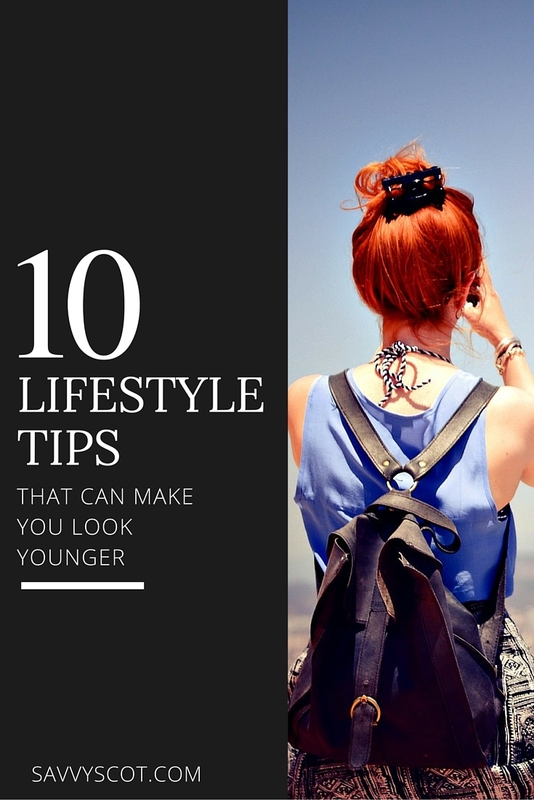 I was worried and immediately picked a mirror, I made a search on how to slow down ageing, so today I will give some tips for those who are like me and want to improve their looks naturally without spending too much money. Let’s start with the hair; it is really important because it is our crowning glory. Having a dry, brittle hair can really add years to your look. You can use hair moisturizer or deep conditioner every week. Try to avoid using strong chemicals, flat iron or even hair dryers that can cause harm to your hair. I don’t comb my wet hair, I had read that your hair is most delicate and fragile when wet, but if you really need to brush your hair, you can use a wide-toothed comb. If you have had the same hairstyle for how many years, maybe it’s time to try a new one? But make sure that it suits you and ask a stylist before chopping your hair off. If you have gray hair, make sure to color it. Smile and show off your white teeth! My father always said having healthy gums and white teeth is one of the best assets that a person has. Don’t forget these three simple steps, floss, brush and mouthwash. Make sure to floss your teeth carefully to prevent your gums from bleeding. Try to move the floss in a C shape around each tooth. Manicure, this is one of my favourite things to do. I love painting my nails, try to pick a good nail color that suits your hands. Try to pick colors like red, platinum and if you want to try something different, you can check this Pinterest DIY nail art manicure. And always moisturize your hands too, having dry hands can make you feel old. Thanks a lot to Pinterest for the inspiration, btw! Exercise, who would forget about this one? If you want to look fresh and young, you should always exercise even only 30 minutes a day, so your heart rate and blood pressure increase. McMaster University conducted a research showing a regular cardio can help not only prevent skin aging, but can also reverse it in people over 40. So if you are 40 and exercise regularly,your skin may look the same as a 20 or 30 year old who does not exercise. One of the best exercise quotes from Dr Nick Cavill, a health promotion consultant, “If exercise were a pill, it would be one of the most cost-effective drugs ever invented,”.I make sure that I regularly exercise, actually my younger sister is the one who keeps motivating me to exercise every day, especially of sedentary line of work. 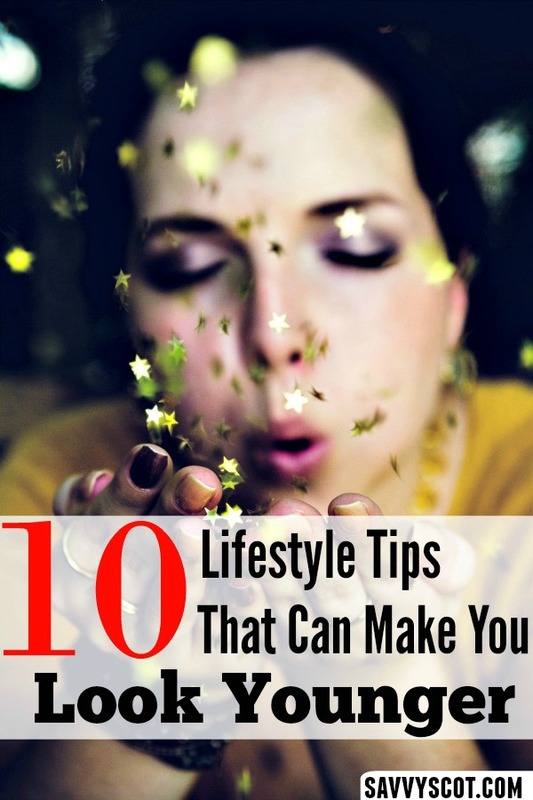 You can also go walking, riding your bike, jogging or join a Zumba class. Watch carefully your sodium intake! Are you aware that eating too many salty foods can cause ageing too? Of course, you don’t want to wake up with puffy eyes, do you? I just learned that recently when I had to control my salt intake because of my kidney stones and I was really worried that high salt intake also accelerates the loss of calcium from bone that occurs with aging. Have a good night sleep every night, actually this is a no brainer. For adults, you need to have 7-9 hours of sleep per night. David Rapoport, MD, director of the NYU Sleep Disorders Program, says “Sleep used to be kind of ignored, like parking our car in a garage and picking it up in the morning,” during deep sleep, our body produces greater amounts of estrogen and progesterone. If you don’t get enough sleep, you are likely going to have a black under eye circles, you will look very stressed and have a hard time focusing. Keep your smartphone away when you go to sleep. I’m totally guilty on this one, before I always put smartphone under my pillow and I always wake up in the middle of the night just to check if there are new emails or reading FB statuses. I stopped that bad habit when my daughter teased me that I look very haggard even when I just woke up! Oh my! As stated above, having a good quality sleep is really, really important. So keep your smartphone on the table and read your emails the following morning. You are what you eat. You should make sure that you eat healthy and nutritious food. You need to eat green leafy vegetables, foods that are high in protein, there is a study in the Journal Evolution and Human Behaviour that showed eating a diet rich in fruits and vegetables gives a healthier, and more attractive, golden glow than the sun. The vitamin C packed in nutritious citrus fruit helps collagen growth, which helps prevent sagging skin. So if you want to look younger and have a bright skin, don’t forget those foods. Don’t forget to wear Sun Protection Factor SPF every day. Aside from eating nutritious foods to have a great skin, wear SPF. Sun damage can be a major factor that leads to skin ageing and wrinkles. I’m not a fan of putting SPF on my face because I don’t like the sticky substance of it, but now there are lots of available non-sticky sunscreen protections, which I totally love! I had read on one article that researchers proved even in middle age it is not too late to start a wearing SPF routine daily and still see real results. See? It’s not too late for you to wear SPF daily! Manage your stress, we all know that it is the biggest reason we look old. If you have enough sleep, excercise regularly and think positive, you will keep stress at bay. If you have a kid, you can play with them and let your inner child loose! If you have a pet, spare some time and play with them too, they are also a good stress reliever. Adbusing others to make sure they color their hair is passé… Confident women look beautiful with silver gray hair. I say crush the myth that gray hair makes you look old. Learn to wear make up for mature women and set example to young women to say that you can embrace the real you and rock you gray !